Hi, you to get all Infinix Smartphone USB drivers with an easy installation guide. Infinix USB Driver is an important part of all Infinix Smartphones which enable you to easily connect your Infinix Android device with the PC or laptop. What is a Infinix USB Driver? 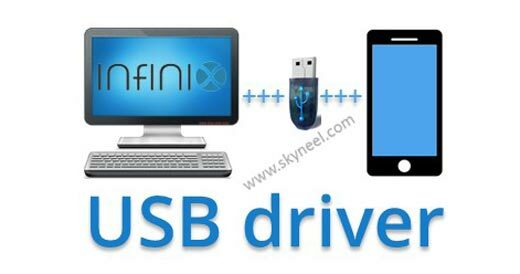 Infinix USB Driver is an important part for all android devices which allows you to easily connect any android device or tablet through the personal computer or laptop. In other words, it is a group of more than one files or program which create a bridge between the android devices and the personal computer to communicate and sharing the files between each other. After properly connecting your android device or tablet with the personal computer via USB driver. You will be able to do many more important things. With the help of PC Suit, or any other software and installing the ROM will be you will be able to easily transfer your important & confidential data like photos, audio, video, messages, mp3, contacts, download, install & update stock ROM of any android device, update all drivers of your android devices, update your android device, take backup whole android device, and if you lost all important data from your android device then you can easily restore with the help of backup via Infinix USB Driver on your computer. What is Infinix ADB Driver? ADB stand for Android Debug Bridge. Infinix ADB driver is a client server program which is used to create the bridge between the developer and android device apart of that also create a bride between the personal computer and android device for android application development. With the help of Infinix ADB driver you will be able to give direct command through any terminal which allows you to modify and update your android device or device software by giving the command through PC command line. It is used to properly manage your Android device. How to install Infinix USB and ADB driver? There are two ways from which you can easily download Infinix USB Driver on your personal computer or laptop. First one through the Exe file and second by Driver file (Manually) method. Step 1: Download and extract the zip file on your computer. Then connect your android smartphone via Infinix USB cable to your personal computer or laptop. I hope you will get required USB driver of Infinix Smartphone. And also helps you to easily install Infinix USB Driver on your PC or laptop. If you have any query or need USB drivers of any other Smartphone then write us in the comment box. Thanks to all. inifinix note 3 pro does not have any driver. do mot make life difficult for us to connect our infinix devices to a computer. do not make us regret buying this phone. i want to connect my S2 pro infinix mobile with my laptop kindly help me. I have infinix x600 and it not connecting with my laptop, I have installed ADB drivers , but still while connecting it says device error , device is unavailable, what can I do now , while other phones are easily connected with laptop.. Install Smart Phone USB Driver on your PC . Hi, Now download your driver.